SaintFrancisDam.com HB2802 | St. Francis Dam Disaster | Visiting the 'Tombstone,' March 1928. San Francisquito Canyon when Dam broke. 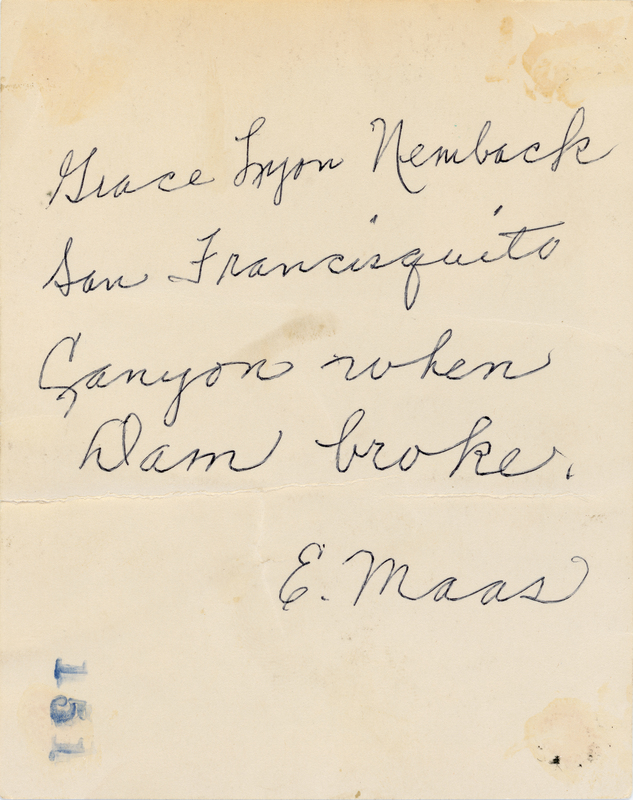 We don't know who "E. Maas" is. According to contributors Holly Nemback of Idaho (formerly of Valencia) and her husband Steve Nemback, Grace was probably a cousin to Steve's grandmother, Dora Nemback, who lived in San Fernando (pers. comm. 2018). 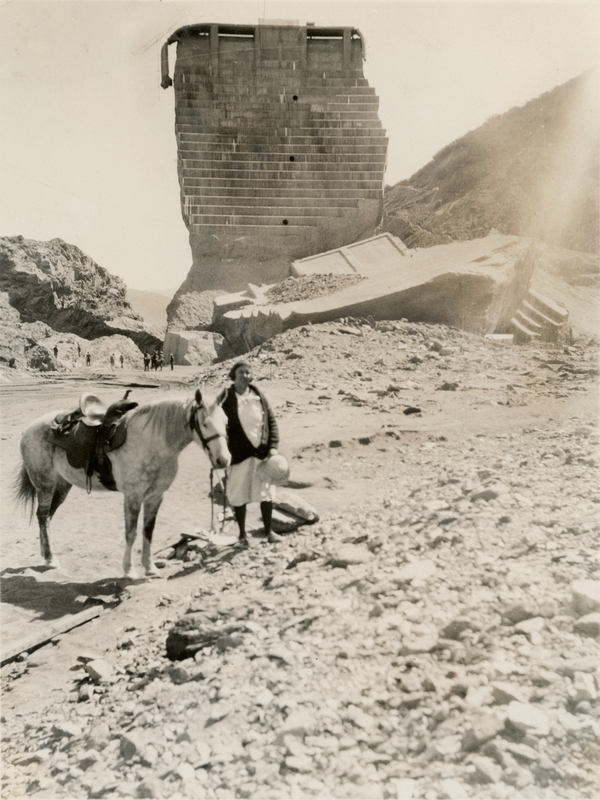 Additional tourists or perhaps inspectors can be seen in the background below the "tombstone," the center section of the dam, which remained standing until it was dynamited in 1929. HB2802: 9600 dpi jpeg and archival tiff from original print courtesy of Holly Nemback. Online only.